It is said that when a bride and groom come together in marriage, their old lives vanish, and they begin a fresh new life as if they were newly born. 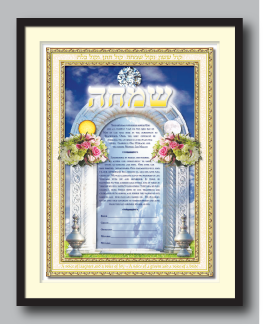 The “Gates of Joy” ketubah depicts this entry into a new life of happy marital union. The frame surrounding the image bears the phrase from “od yeshama”, “A voice of laughter and a voice of joy ~ A voice of a groom and a voice of a bride”. 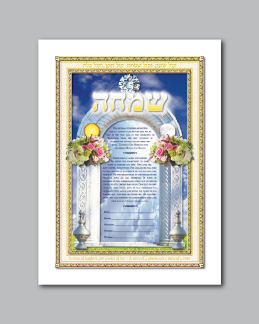 These words of celebration surround the ketubah. The intricately carved gateway suspends beautiful rose-filled floral bouquets that beckon us to venture forward. The sun and moon rise from the bouquets to remind the couple of the days and nights they will spend together in good times and in bad. 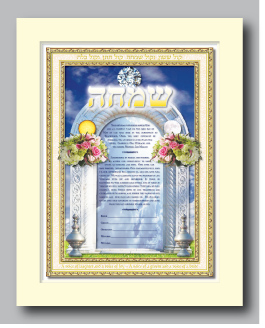 Above the gate is the Hebrew word “simcha” or “joy”. 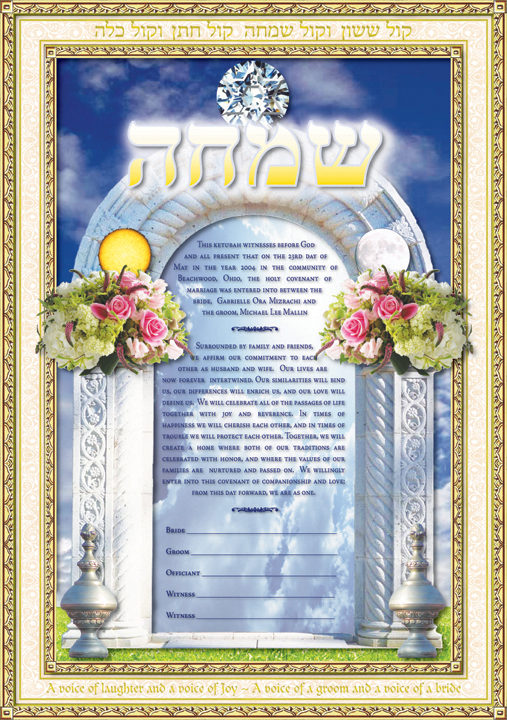 This word, along with the spirit of Hashem, (as depicted by the round diamond with Mogen David), crowns the happy couple becoming a beacon for their new life together.